POSTMARKET SURVEILLANCE (PMS) IS THE REQUIREMENT THAT MEDICAL DEVICES HAVE TO MONITOR THEIR MEDICAL DEVICES AFTER THEY HAVE BEEN CLEARED FOR SALE AND ARE IN USE BY MEMBERS OF THE PUBLIC. To remain compliant with 21 CFR Part 820 and the requirements of ISO 13485, medical device companies must engage in postmarket surveillance activities to monitor the safety and effectiveness of the medical devices that they sell. Since medical devices are typically approved for sale based on clinical trials that involve fairly few people, postmarket surveillance is a necessity because it often reveals more about the safety and effectiveness of a medical device that couldn't be learned from a clinical trial alone. In the United States, the FDA oversees the postmarket surveillance activities of medical device companies, including monitoring incidents of adverse reactions to medical devices through its reporting system called MedWatch. HOW DO PMS REQUIREMENTS WORK IN THE UNITED STATES? Wherever you intend to sell your medical devices, you must comply with the applicable requirements for postmarket surveillance. In the United States, the FDA helps facilitate PMS using its MedWatch system. The web-based portal allows end users of your medical device to submit reports of any adverse events or non-conformities that arise during use of the device. The FDA also conducts its own postmarket surveillance activities, using either a Post-Approval Study or a 522 PostMarket Surveillance Study. For Class II or III devices that could cause serious adverse health consequences if they fail. For Class II or III devices with widespread use in pediatrics. For Class II or III devices that are intended to be implanted in humans for longer than one year. For Class II or III devices that are intended for life-sustaining or life-saving use outside of medical facilities. Class I medical devices are normally exempt from postmarket surveillance, as these devices are the lowest risk class. Once the FDA has ordered a manufacturer to conduct postmarket surveillance for a particular device, it has just 15 months from the date of that order to begin initiating the required activities. A PMS plan must be submitted to the FDA which includes objectives and designs for the study along with a proposed schedule for interim and final reports. WHAT ARE THE PMS REQUIREMENTS FOR THE EUROPEAN MARKET? Unlike in the United States, where PMS activities are only required for higher-risk devices that typically require premarket approval, all medical device manufacturers that sell in the European Union are required to demonstrate that they have conducted post-market clinical follow-up (PMCF) or provide a justification for why this was not done. PMCF is most commonly required in cases where the medical device uses novel medical technology, carries a high product-related risk, is in use with high-risk populations (geriatric or pediatric applications), or to verify the safety and performance of the device when exposed to a more varied population of users than in the initial clinical trial. Postmarket surveillance is an area of growing relevance in the international medical device market. The FDA's most recent guidance document for PMS was published in 2013, Europe's PMCF guide was last updated in 2014, and Canada announced in 2016 that it would undertake a 5-year plan to bring its PMS requirements in line with the rest of the global community. Greenlight Guru's quality management software is the number-one choice for medical device manufacturers that want to streamline and automate their PMS processes. PMS generates a lot of documents - the initial surveillance plan, objectives and designs for the plan, collected incident reports and feedback from customers, CAPA documents, customer surveys, service reports, literature reviews, implant registries, and more. Greenlight Guru maintains the organization, security, and integrity of documents throughout your PMS studies, making it easier than ever to comply with legal requirements wherever you sell your devices. 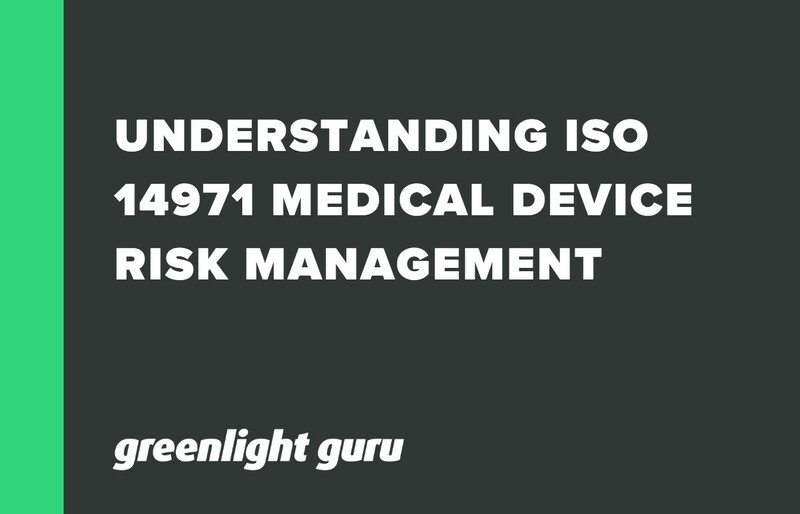 A brief walk-through of ISO 14971 medical device risk management in plain English & overview of key definitions and concepts. 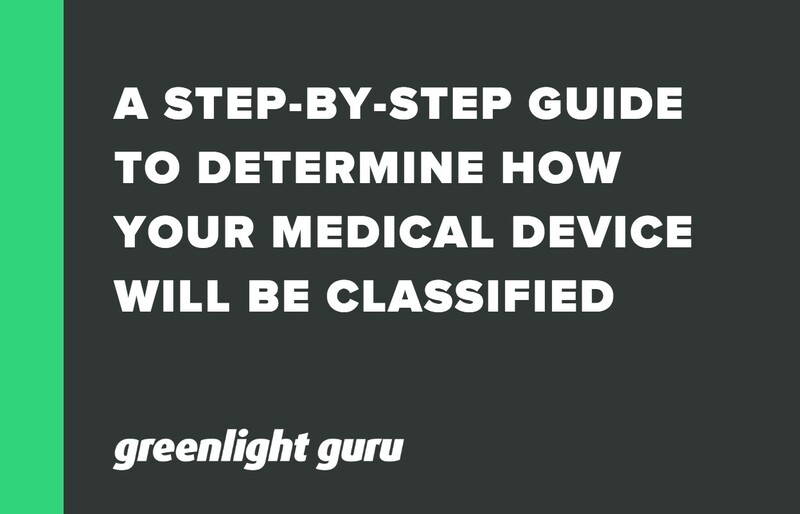 Greenlight Guru presents a step-by-step guide for determining how your medical device will be classified by U.S. FDA, European Commission, and Health Canada. 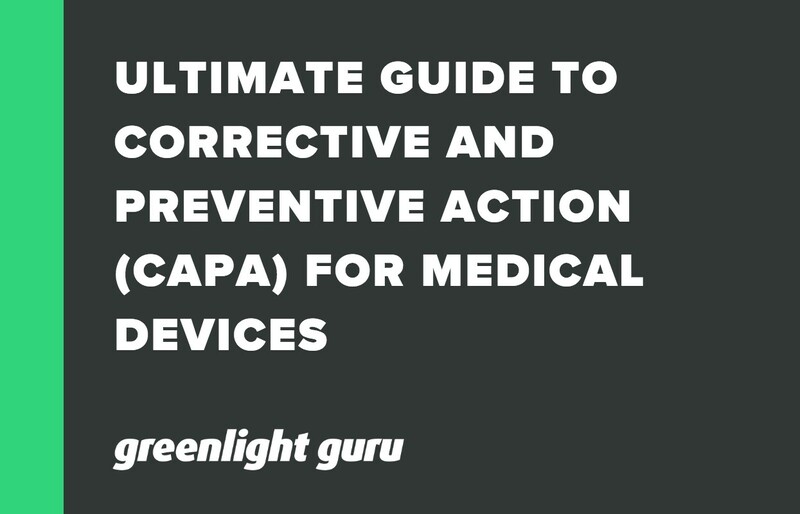 How to implement and maintain a risk-based CAPA process while avoiding the most common pitfalls at your medical device company.